Shrewdd is raising awareness of the Samaritans festival branch’s attendance at a variety of festivals throughout the summer by issuing press releases liaising with the media and managing a Twitter campaign. 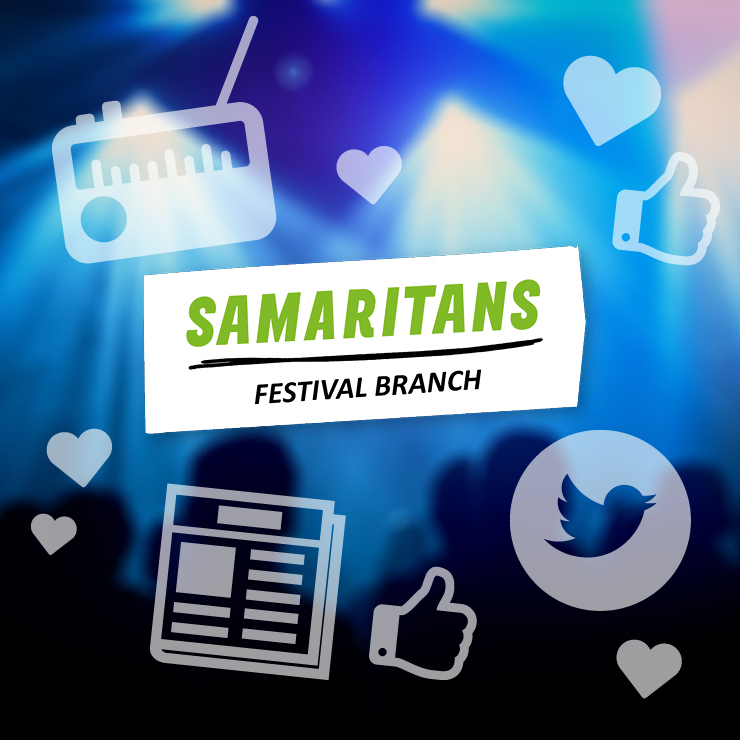 The Samaritans festival branch has a dedicated team of approachable fully trained volunteers that offer a non-judgemental fully confidential face-to-face listening service for all festival visitors and employees. No matter how serious or how trivial the matter may seem. In 2015 the charity attended 17 festivals and listened to hundreds of people. Recognising that even though festivals can be full of celebration the loneliest place in the world is to be an unhappy person in a place full of happy people. Over the course of the last few years, Shrewdd Marketing has worked for a number of national and local charities including the Wallace and Gromit Children’s Charity and Working Wonders. For more information on the Samaritans festival branch please visit https://www.samaritans.org/branches/festival-branch-0.